MPO enhances the development processes and adds distinct properties to unsaturated polyester resins. MPO increases esterification rates and kettle productivity, due to higher reactivity than other glycols, achieving resins that are lighter in color. Polyester gains stellar styrene miscibility with MPO. 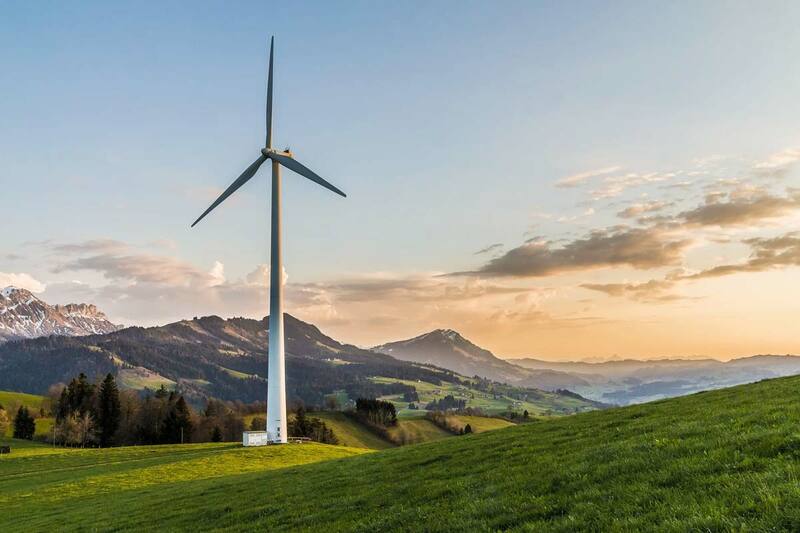 Products made from unsaturated polyester resins earn a balance of tensile strength, flexibility, and elongation from MPO, without sacrificing chemical and water resistance or weatherability. For use in isocyanate-modified unsaturated polyester resins, MPO ensures reliable chain extension. MPO directly addresses the high-performance requirements that define the gel coat sector, giving these coatings high strength and elongation, as well as superior blister resistance and weatherability. As with unsaturated polyester resins, MPO adds toughness without losing weatherability. MPO-enhanced gel coats are typically used in fiberglass panel resins and marine hulls. MPO-based saturated polyester coatings are high-performing in applications that require the most weatherable binders, a competitive alternative to premium exterior polyesters. MPO makes multiple types of polyester (phthalic, isophthalic, terephthalic) more flexible and simultaneously tougher, even with high aromatics present in the mixture. MPO is known as a versatile component of polyurethane used for coatings, adhesives, and sealants. Formulators use MPO as a chain extender to add molecular weight and enhance the performance (toughness and flexibility) of adhesives, sealants, and urethane elastomers. While MPO is an ideal element of adhesive and sealant formulas requiring clarity and pliability, it also works well with isocyanates. In addition, MPO is key to developing liquid polyesters that optimize conventional coatings solvents and urethane adhesive formulations. MPO-based diesters and polyesters enhance the utility of thermoplastics compounders like PVC, due to low glass transition temperatures. Applications include laminating films, gaskets, and vinyl electrical insulation. 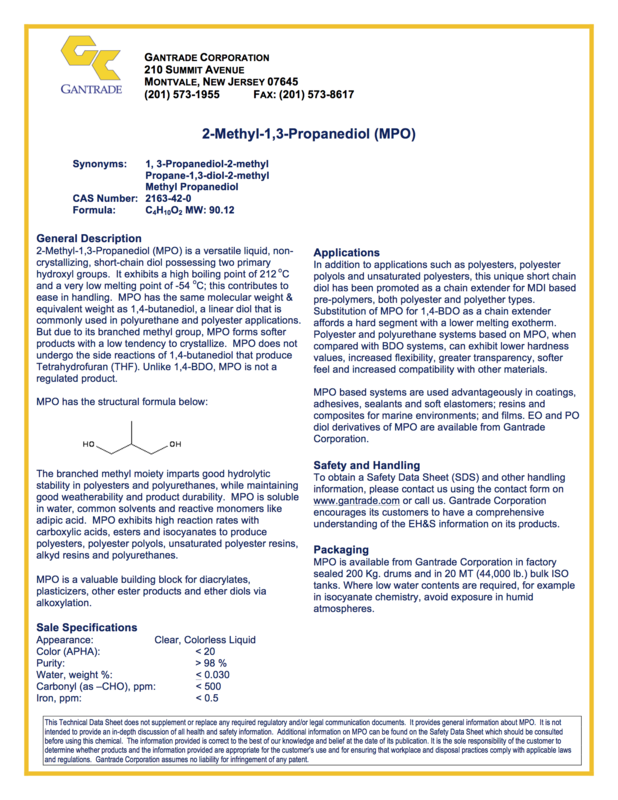 When MPO reacts with ethylene oxide or propylene oxide the resulting compound is MPO alkoxylate. Applications include UV-curing agent monomers, polyester polyols, paints, inks, adhesives, and polyurethanes, all enhanced with MPO’s signature toughness and flexibility. MPO or MPO alkoxylate join forces with acrylic acid/ methacrylic acid to from MPO diacrylate/ dimethacrylate or alkoxylate diacrylate/dimethacrylate. The applications are wide and diverse, including uses in thermosetting paints, adhesives, nonwoven fabric binders, photosensitive agents, paper finishing agents, copolymer modifiers, and cross-linking agents. When MPO reacts with DMC or DEC, the resulting compound is MPO polycarbonate, which remains liquid even at very cold temperatures. Applications include polyurethanes, coatings, and inks that require this specific weatherability. MPO also can be used in for softening skin care products, emulsifying mixtures for personal care, and preserving moisture. MPO’s balance delivers formulations that are clear, homogeneous and stable for long shelf-life. While MPO is a stable material, it should be stored far away from mineral acids. Exposure to atmospheric moisture could sacrifice MPO’s low water content, thus requiring storage under nitrogen blankets as applicable. Stainless steel shipping containers will protect product integrity and consistency.